Title: Cast Iron Fountain. Cor. Spring Garden and Sixth Sts., Philad'a. 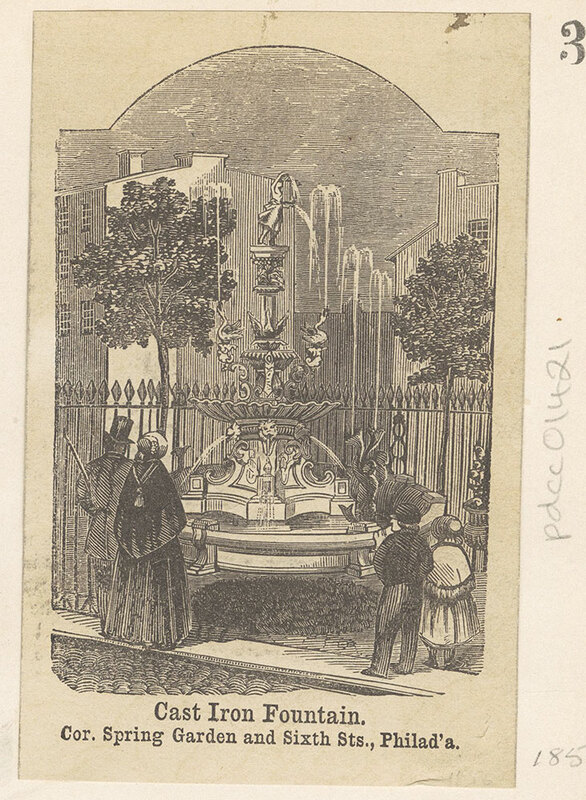 Illustration depicting the ornate cast iron fountain at the corner of Spring Garden and Sixth Streets.